MyCuts is an online booking management and scheduling solution for hair salons which is available on desktop or mobile devices through native iOS and Android apps. Designed to aid hair stylists and other beauty professionals with managing their daily schedule, MyCuts provides an efficient way to track daily appointments, view client history, and automate tasks such as reminders and inventory tracking. Appointments can be scheduled into the MyCuts system using the calendar tool which can be viewed by month, by day, or in list format. Appointments are color-coded to highlight which stylist they are assigned to, and employees can filter their appointments by upcoming, current, or completed. Tasks such as sending reminders and appointment confirmations can be automated to avoid no-shows, with SMS and email messages automatically triggered at a pre-defined time before appointments. In order to avoid the input of duplicate or similar information, recurring appointments can be setup for regular customers and existing appointments can be rearranged with ease. MyCuts facilitates client management with features including a searchable client database of profiles for each client including contact details, booking history, preferences, allergies, and more, in order to provide a more personalized service. Contact lists can be imported from existing phone contact lists, and clients can be contacted directly through the MyCuts system via call, text, or email. The inventory database within MyCuts allows users to keep track of retail inventory with indicators to differentiate between ‘stocked’, ‘low’, and ‘reorder’ levels of stock. Users can search the database for items and view details such as price, description, supplier, stock levels, and more. Stock can be added and removed from the system as needed and availability levels are automatically updated when sales are made. Very user friendly, some bugs though. I like that I can add a new client from my phones contacts. I love that is also send reminder texts for me so I don't have to. I don't like that the phone number isn't auto drafted over from my contacts when adding a new person. So if I need to text then from the app, I have to copy and paste the number into MyCuts. I have had a few wrong numbers in my records within my cuts because of this. And there seems to be a problem with the function that puts the time and date on the appointment. I have had clients text me many times to make sure I had the date correct rather than the one that that was sent to them in the reminder. And lastly, I think that if you change an appointment time the same day, it should ask you before sending the client another reminder. They usually understand what is happening as far as the time change because I have contacted them to move them up or down. I have had clients find it very irritating that the app send that many more reminders the same day. Claire, thank you for such a thorough review! Please check out the latest update to our iOS app that greatly improves the appointment time selection issue. Please email us at support@mycutsapp.com so we can get more details on the phone number issue so we can help out. My clients love using their phones for their calendar. And if they forget they love the back up text message remimder!Super fast to use! I love that my clients get their text messages up to 3 days before their appointment! I love that they can confirm their appointments over text or email! Super fast to use! I love that my clients get their text messages up to 3 days before their appointment! I love that they can confirm their appointments over text or email! I would like to be able to look up a client and see when their last visit was. I would like to be able to add a new client in right away on the schedule. Instead of adding them to the client list, then going back to the day I want them and adding them to the scheduled date. Leigh, thank you for your nice review! We wanted to let you know that you don't have to add a client through the client list. When you make a new appointment, tap "(select client)" and then tap the plus button if it's a new client. This will also add them to the client list. Please email us at support@mycutsapp.com for more assistance. I like the app. Sometimes it changes times without me knowing. I love that it automatically reminds your client of their appointment. You can't look up past appointments to formulas on the Mobile app. Sometimes the time automatically changes in 15 minute increments. Rebecca, thank you for your review! Please download the latest update to our iOS app that fixes the appointment time selection issue. To view past appointments for a client, there's several ways of doing it. One way is to swipe left on the appointment row, tap "More", then tap "View Client's Appointments.". Also, you can view hair formula and notes histories by tapping the history icons next to their labels when you view an appointment. Please email us at support@mycutsapp.com for further help. Very easy program once you get used to it! I like the ease of it, the option of two different reminder settings, and the confirmation texts it automatically sends out for me. A lot of moments where I go to select the time of appointment, and when I go back to finish the rest of appointment - I find it switches my time to a different one than I set. With the confirmation texts, I believe there should be a reschedule/cancellation option, then prompt the client to contact me directly. Brittany, thank you for your review! In our latest iOS update, we greatly improved the appointment time selection issue. 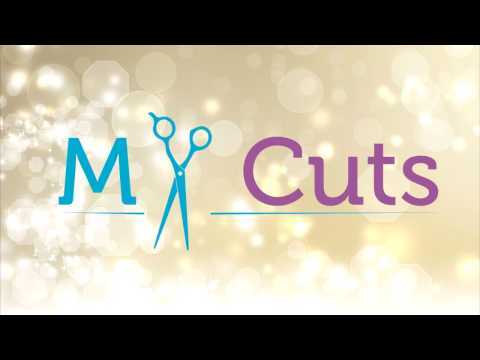 Please email us at support@mycutsapp.com for further assistance. I absolutely love this app! I've used it for over a year. It's been really easy to use. My clients love that they get automatic reminders & confirmation texts. As a busy stylist, I am at ease with knowing that I don't have to take the time to contact my clients. I also love the latest updates of shortcuts! The color formula history & the last appointment history. I really wish there was a way to upload client pictures to their profile! It would help a lot to put a face to the name. The app sometimes freezes & then says I have no appointments scheduled. 100% free to use up to 25 clients. Upgrade for unlimited clients. Standard plan: $14/month with unlimited appointments and 1 stylist. Premium plan: $24/month with unlimited appointments and unlimited stylists. Send customizable text and email appointment confirmations and reminders to clients automatically and create recurring appointments so that clients can be reminded of their next appointment. Track appointments, clients and inventory all from one platform. Stylists can manage appointments through a calendar view by day, month, or list view. Run reports to automatically total appointment sales within a customized date range, and generate reports on inventory sales within a given date range. Track detailed information about clients, such as email, phone, allergies, occupation and more. Appointment history is available for all clients so that a personalized experience can be provided based on preferences. Organize inventory by category and name. Stock levels are automatically calculated so products can be filtered by 'stocked', 'low' or 'reorder'. Detailed information can be entered for inventory, including, model, supplier, manufacturer, location, and more. Below are some frequently asked questions for MyCuts. Q. What type of pricing plans does MyCuts offer? Q. Who are the typical users of MyCuts? Q. What languages does MyCuts support? Q. Does MyCuts support mobile devices? Q. Does MyCuts offer an API? No, MyCuts does not have an API available. Q. What other apps does MyCuts integrate with? Q. What level of support does MyCuts offer?